I don’t know about you, but the last month of school always seems to FLY by. I always start to feel overwhelmed due to the million of things that go on my “list” of things to accomplish over the last few weeks of school. This year I am trying to stay on top of things and to avoid the stress and craziness of these last few moments that we get with our classes. 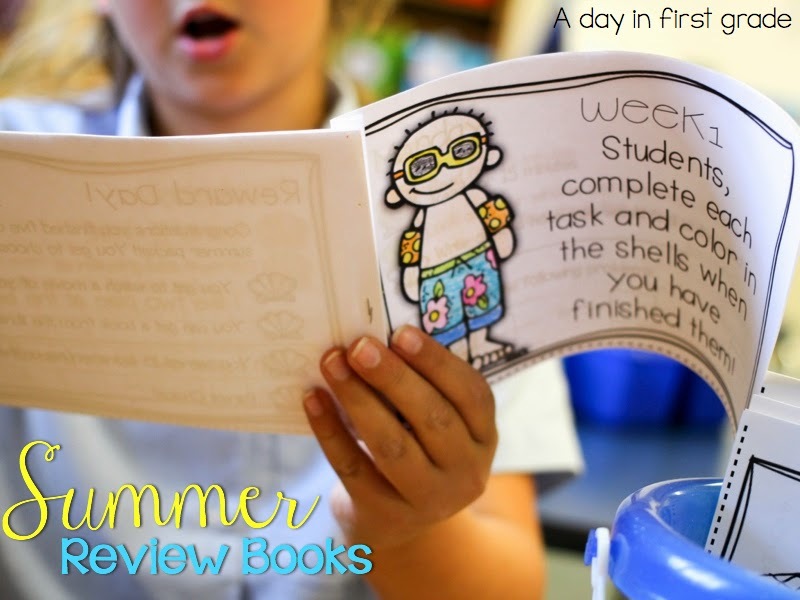 This week I finished up getting all of my students’ summer review books ready. 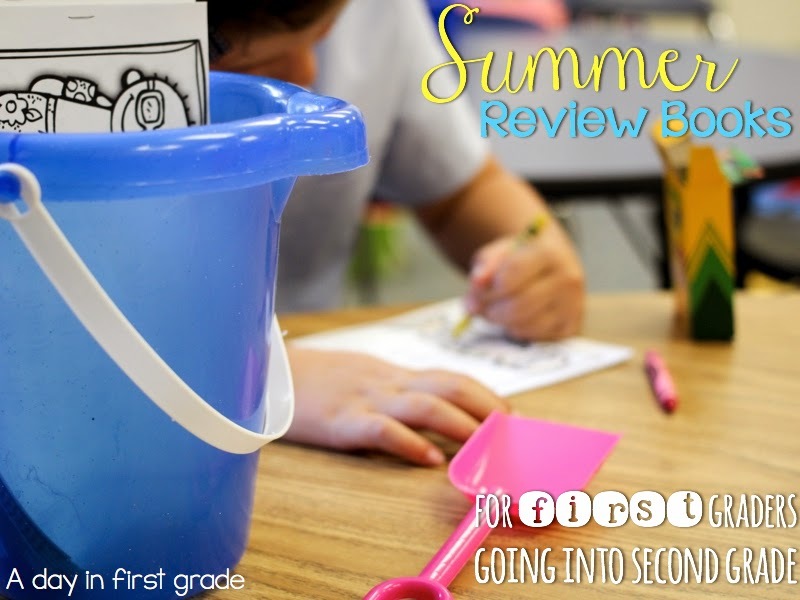 Last year I created an easy-to-set-up packet designed to help students review over the summer. 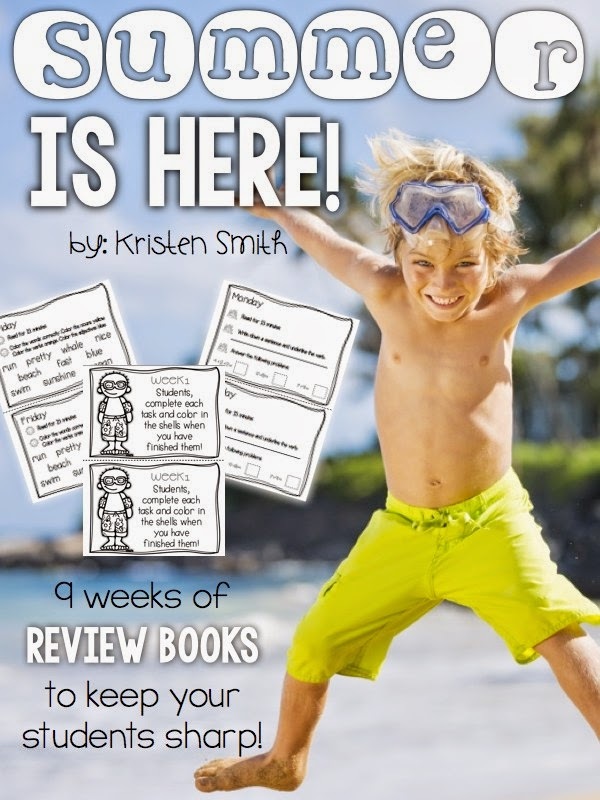 The packet includes parent letters, review half-sheet books, and rewards. I was so grateful for this packet this week. 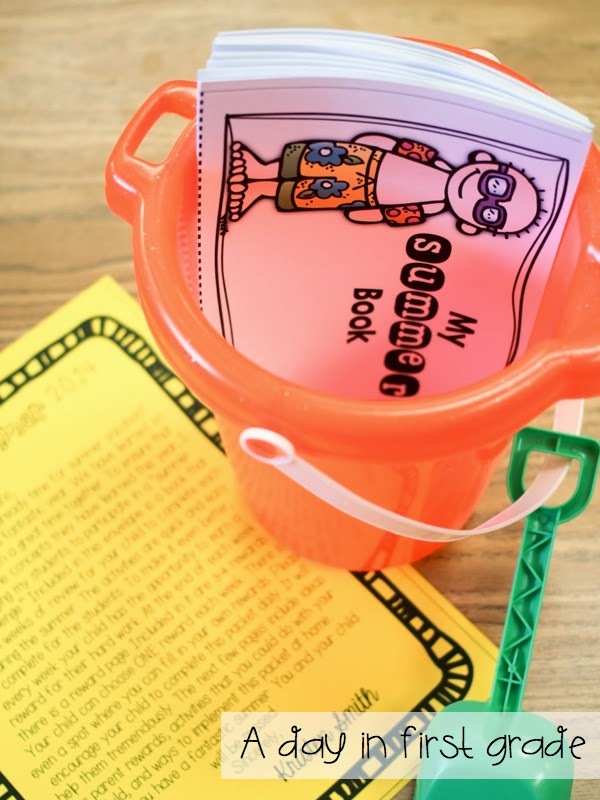 I simply printed it out, cut the books in half, and put them inside sand buckets that I bought at the dollar store! It literally took me less than an hour to get it all ready! There are 9 weeks of mini books that you simply have to cut in half. 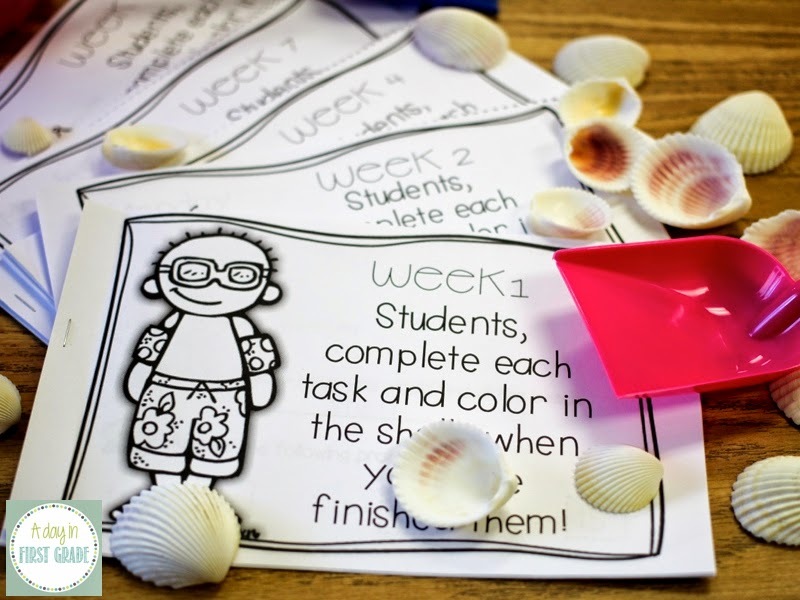 Each week has 5 days of activities for your students to complete. My students last year LOVED these! My parents from last year complimented that it was easy to implement and that their child WANTED to do their work every day! To organize it, I simply place all 9 half sheet books in a sand bucket. To give you a closer look at the packet, I enlisted a volunteer to show you how it would work. Each week has 6 pages. 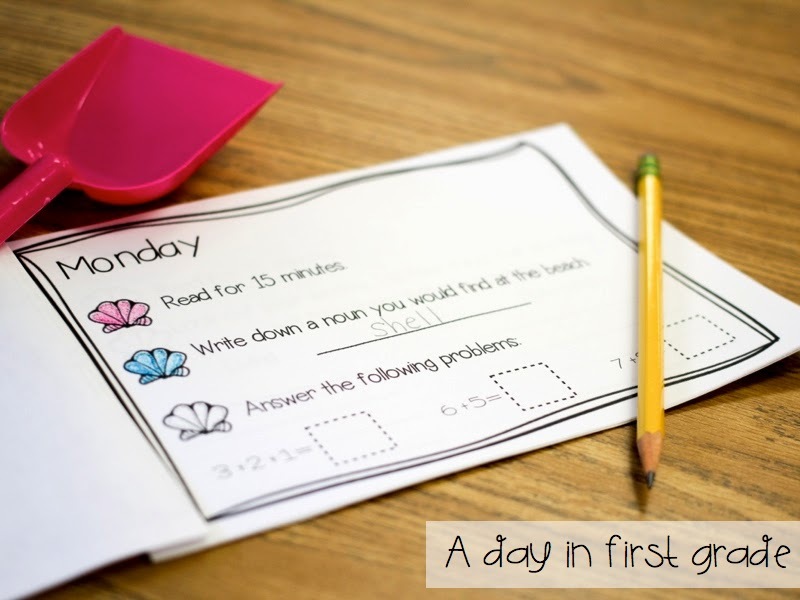 Monday, Tuesday, Wednesday, Thursday, and Friday have a few activities on them and on the last page, the child gets to pick a SIMPLE reward for completing their work. 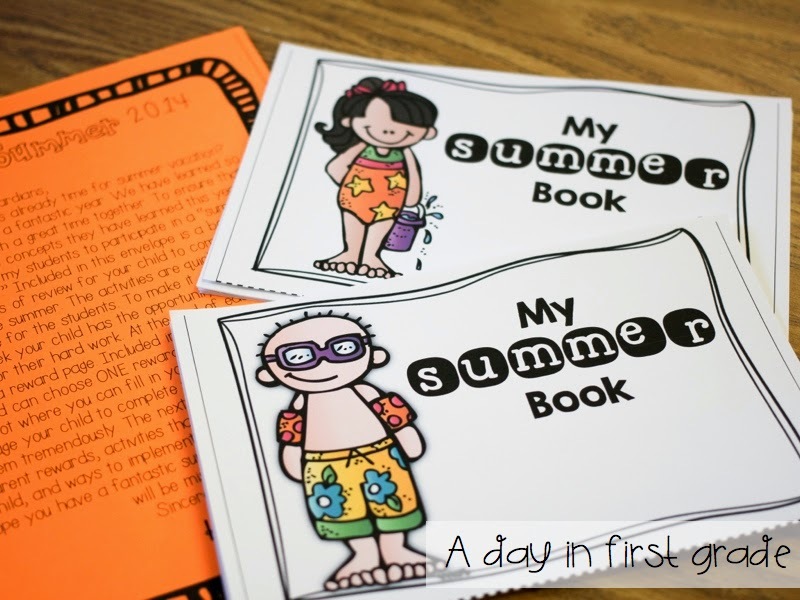 Each book is labeled with its specific week. Students will love coloring in their front covers! Each day, your students will complete a series of activities that will take no more than 25 minutes each day. The activities review everything: reading, language arts, math, writing, science and social studies are all spirally reviewed! On Wednesday the task was to write a story. She loved reading it to me! At the end of the week, she got to enjoy her reward! 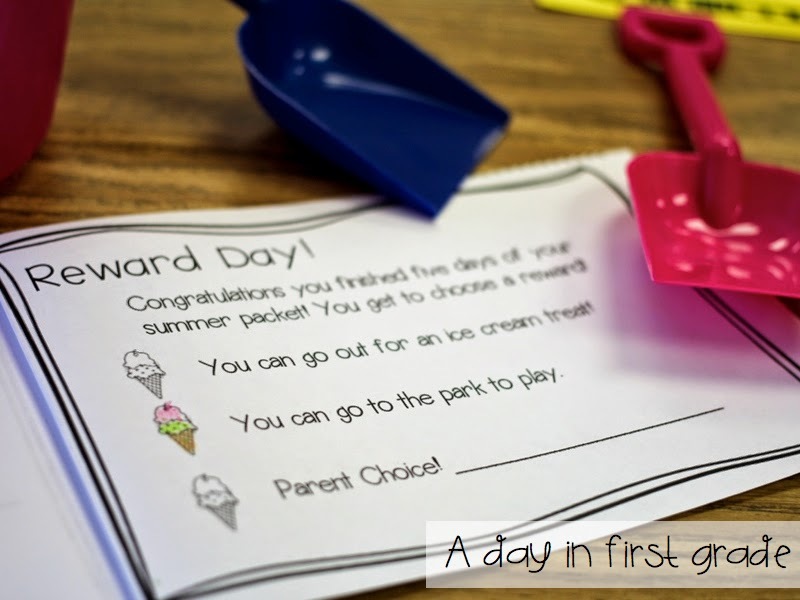 Each reward page lists two suggestions and leaves a space for the parent to pick a reward. 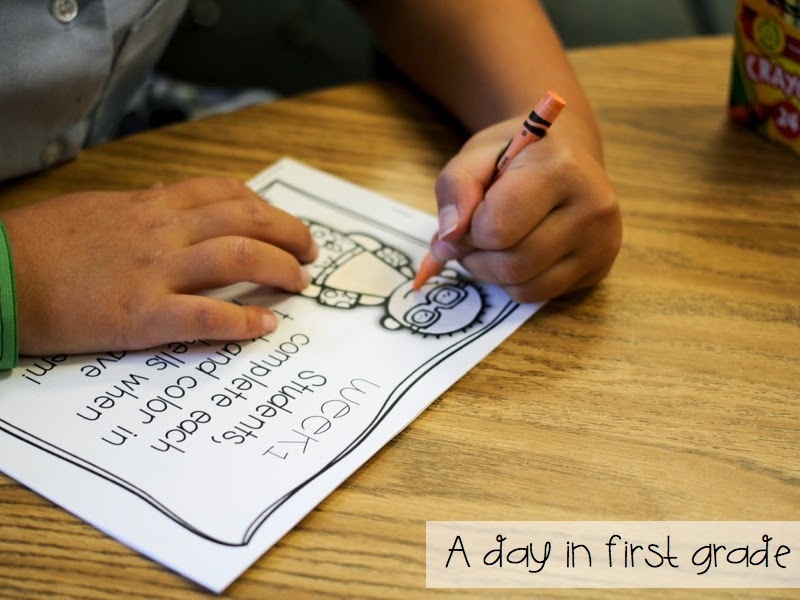 Included in the packet are a list of other simple suggestions that parents can write down! I’m so happy that this is checked off my list. 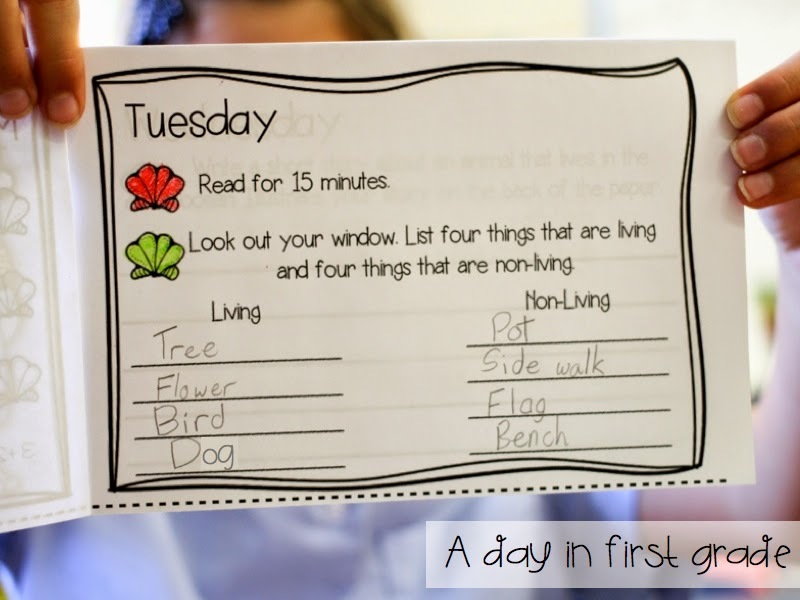 I know that my students will love completing their daily tasks and I love knowing that this will help keep them sharp and ready for second grade! 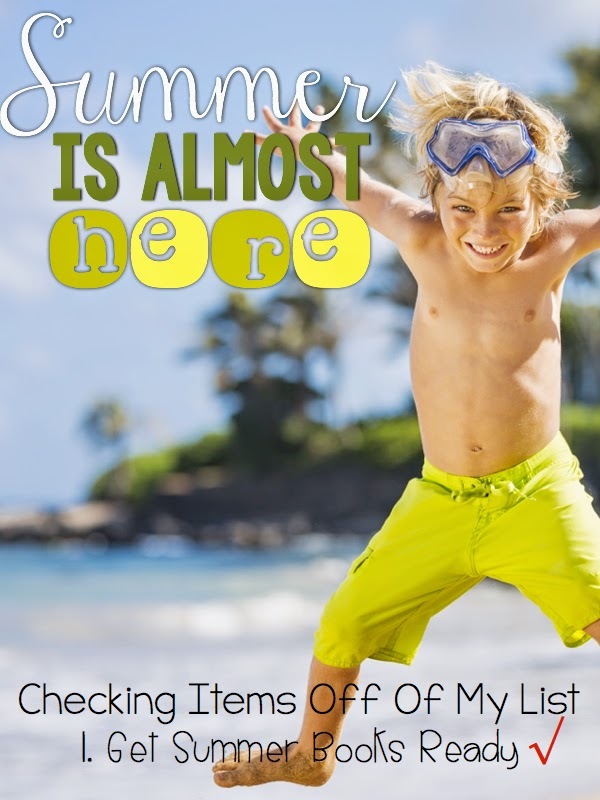 This packet will easily help you get ready for summer and takes nearly no time to set it up! You can get it by simply clicking on the cover below! Come back soon as I check off more items from my to do list and offer tips and suggestions to make the last few weeks of school meaningful, engaging, and FUN! I think this a fantastic idea !! And adding it in the buckets makes it super cute for first grade!! These are amazing! I wish I could send my kinder kiddos home with these! Will you be making any for the kinder level? I would definitely buy this packet if there was one for kindergarten. This is what I’m searching for. What a perfect gift for students and parents! 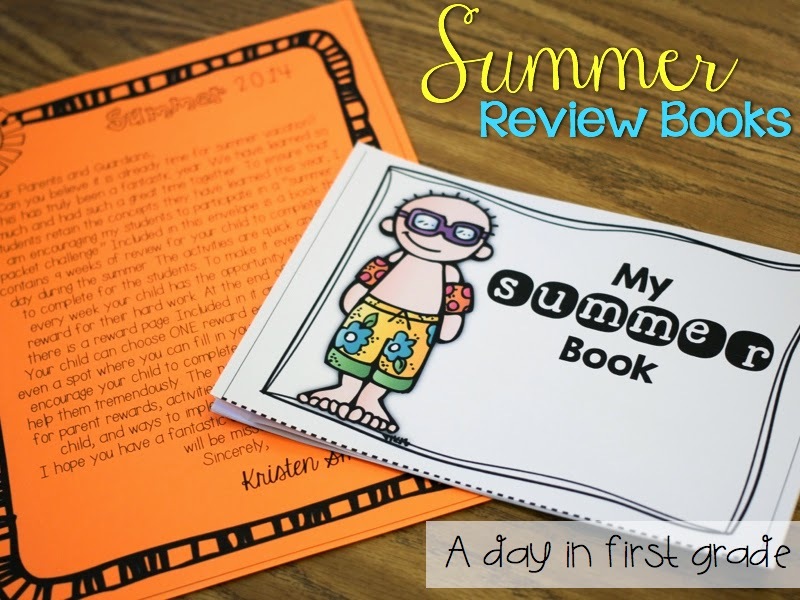 I was interested in the summer review book but can’t get to it or find it. Can you help me? This would be an awesome end of the year gift! <3 The kids will LOVE it!